Are you struggling to retain clients? 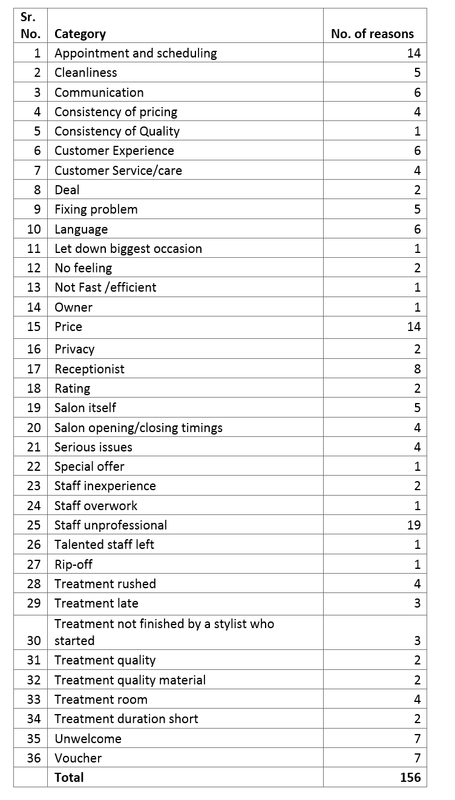 Are you struggling to grow your salon business? 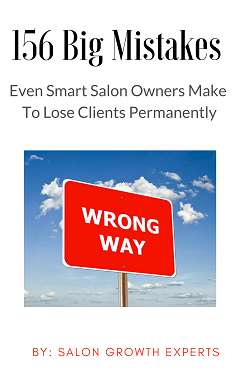 This eBook provides 156 big mistakes across 36 categories even smart salon owners make to lose client permanently. Losing a client is a double blow because not only do you lose referral opportunities but also they may bad mouth you and consequently, you may lose even more clients at some point in time. This eBook provides 156 ways you may lose clients across 36 categories. In this eBook 156 possible ways, you could lose client have been mentioned in the 36 categories as follows. Compile the findings. Now pick reason which has mentioned Always as that reason could be the biggest why you may be losing a client. Try to improve. Go through Often and Sometimes reason as well and try to improve where possible. Alternatively, you can use our ready-made software to go through this exercise with your team. It would more effective and efficient to do using the online software especially when multiple people want to do do this exercise.